The WWE is very sensitive when it comes to criticism of their Wellness Policy. Yet their actions regarding the suspension of R-Truth will do them no favors in defending their policy. Getting a false test back the day after Survivor Series was incredible luck or a big sign of company inconsistency. In case you haven’t heard, Ron Killings aka: R-Truth is suspended for 30 days due to a Wellness Policy violation by the WWE. 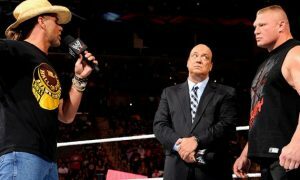 The suspension was announced Tuesday morning, two days after the WWE Survivor Series, and a day after RAW. The timing of this announcement has raised a lot of eye brows to say the least. The biggest irony here is that the WWE suspended tag team champion Evan Bourne a few weeks ago for a Wellness Policy violation. While the WWE does not announce the specific drug that tested positive, it is believed that Bourne tested positive for synthetic marijuana. The hit to Bourne was huge as he missed a very lucrative European tour and a huge payday at Survivor Series. Maybe that is why Bourne didn’t go away for 30 days quietly. 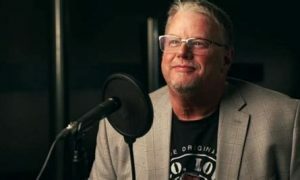 Dave Meltzer reported that the controversy arose when it was discovered that Bourne was at a party with other WWE wrestlers using this particular drug. According to Meltzer, some of these wrestlers were guys higher on the card (who isn’t these days) of the tag team champion. Take a wild guess at who that guy was? It would appear that Ron Killings would be that guy. Dave had speculated on his podcast before this suspension even took place that another guy from the Survivor Series main event was with Bourne that night, smoking the same stuff. Jeff Peck and I even had a fun time with that news on our podcast, “guessing” as to who that guy could be. It appears it was Killings. The WWE can play with this all that they want, but this stinks to the highest levels of WWE conspiracies. By all rights, the WWE can book a guy before he starts his suspension in order to write him out of television. However, Bourne was suspended three weeks ago. That means that the WWE continued to book Killings on TV, the European tour, and the pay per view, probably giving him his highest payday of his career, all because he was in the main-event. That is hardly what I’d call a consistent Wellness Policy. Here is the deal. Either suspend guys or don’t suspend them. I personally could care less whether someone gets popped for synthetic marijuana or not. However, it is not fair to take a guy off the shows for it, while continuing to promote your headliners for the same infraction. I can’t imagine the WWE locker room feeling that happy with this latest turn of events. The other thing I don’t get it here, is why was Ron Killings that important? Couldn’t they have taken someone else and put him in his spot? 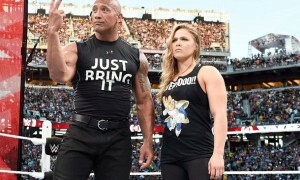 Nobody cared about who The Rock was wrestling, they just wanted to see him wrestle. It just seems like a pointless consolation by Vince McMahon, especially with the can of worms it will and likely has opened up. Believe me, I don’t think one person who was buying the Survivor Series would have changed their plans because R-Truth wasn’t on the show. The kicker in all of this is that not only did Truth stick around to collect those paydays while the WWE continued cashing in on him as a main-eventer, but he’ll come back an even bigger star! The injury angle will make him a bigger star and a top babyface. Headlining certainly has its priviledges.